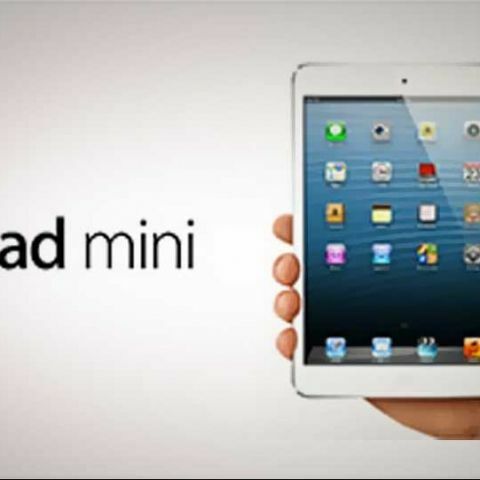 Apple has introduced a new exchange offer on the iPad Mini under which you get up to Rs. 9,000 discount. 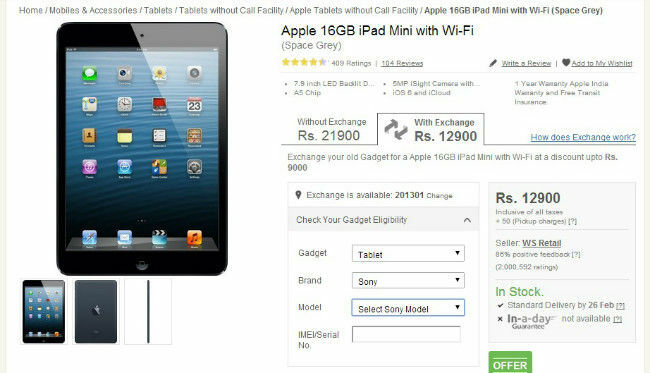 Flipkart has gone live with a new exchange offer for the iPad Mini 16GB Wi-Fi tablet under which you can get a discount up to Rs. 9,000 for your old gadget. The discounts range from Rs. 5,000 to Rs. 9,000 depending upon the device that is being offered for exchange, and covers a gamut of gadgets that includes smartphones, tablets and laptops. This means that the iPad Mini, which usually goes for Rs. 21,900, can be purchased for Rs. 12,900. Under the exchange offer, you can get a maximum discount of Rs. 9,000, if you offer up smartphones such as the Sony Xperia Z Ultra, the Samsung Galaxy S2 and the Nokia Lumia 920, among many others. In the case of laptops, the maximum discount amount is Rs. 7,000 and that amount will be offered for any laptop under most popular brands including Acer, HP and Dell. When it comes to tablets, Rs. 9,000 is the maximum discount offered, if you exchange models such as the Samsung Galaxy Note 10.1, the Apple iPad 3 and the Sony Xperia Tablet Z, among others. For the uninitiated, the iPad Mini in question comes with Wi-Fi support and 16GB of internal storage. It’s powered by a 1GHz dual-core A5 processor and 512MB of RAM. It has a 7.9-in IPS display with a resolution of 1024x768 pixels. Imaging is handled by a 5MP rear camera and 1.2MP front camera. The iPad Mini was launched with iOS 6 but is upgradable to iOS 7. For more details on the exchange offer, head on over to Flipkart.